SAKI awarded the Missouri Office of the Attorney General a $2,871,423 grant in fiscal year 2018 to complete a statewide sexual assault kit inventory. Funding will also be used to submit kits to a forensic laboratory based on approaching deadlines related to the statute of limitations. Missouri Attorney General's office hosted their multi-disciplinary group meeting to further discuss and share input on how to proceed regarding previously unsubmitted sexual assault kits. Attendees included victim advocates, law enforcement, hospital, and healthcare representatives. Attorney General Schmitt announced Judge Mickey Williams as the site coordinator for the Missouri SAKI site and unveiled their plans for their SAKI grant. Missouri Attorney General Eric Schmitt announces that testing previously unsubmitted sexual assault kits through their FY 18 SAKI funding is a priority for his office. 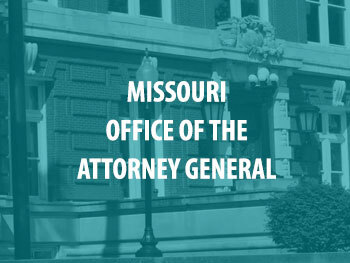 The Missouri Attorney General's Office received a $2.8 million grant from the Bureau of Justice Assistance to address previously unsubmitted sexual assault kits. Josh Hawley, Missouri Attorney General, announced that his office has received a 2019 SAKI grant to begin testing the 5,424 previously unsubmitted sexual assault kits throughout the state of Missouri.